adidas Pure Boost is here! 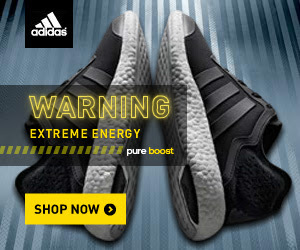 The adidas Pure Boost running shoes are floating off the shelves…well, maybe not floating as much as they are flying! These crazy light and comfy shoes are creating quite the buzz in the running community not only for their athletic prowess but also for their stylish components. A.K.A…they can be worn as cool sneakers with any outfit! They have some very cute colors for the ladies and all the stylish tones the guys love to wear. Do I see matching running shoes for husband and wife in our future? Go ahead… check the adidas Pure Boost out for yourself! Which color is your favorite?